Some individuals enjoy using their motorcycle as the preferred way to move about the city or take a leisurely trip on Illinois State routes. Others see motorcycle riding as an economical choice to reduce the expense of buying gas and paying high insurance premiums when traveling to work, shopping or other local destinations. Most riders know the risks of motorcycling and should wear a motorcycle helmet to protect themselves should they crash, which choose not to. The Illinois Department of Transportation (DOT) released crash information for the year 2014 involving motorcycle accidents with injuries and fatalities. 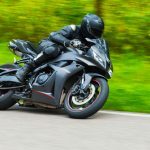 The report revealed that 92 percent (3030 incidents) of the 3292 motorcycle crashes occurring that year involved males, and more than a third of those (1146 accidents) were between 21 and 34 years of age. Motorcyclists who suffered fatal injuries in these accidents that year “were less likely to have been using safety equipment” like wearing a helmet. Statistics show that of the 118 motorcycle fatalities occurring in 2014, fewer than 2 percent had been wearing a DOT-compliant helmet and 80 percent (68 fatalities) were not wearing any helmet at the time of the accidents. The number of deaths associated with motorcycle accidents occurring in Illinois in 2015 rose 24 percent from the previous year. Over 80% of motorcycle accidents end with severe injury or death to the motorcyclist or his or her passenger. For this reason alone, it is important that motorcyclists review crash prevention measures and other safety practices that can help them be seen on the road and to avoid being in compromising situations on the road. Since so many accidents result in injury or death, it is also important for motorcyclists to wear protective clothing and equipment to best reduce the severity of injuries they may suffer in and accident and to increase their chances of survival. Over 2,100 motorcyclists are killed in accidents every year. 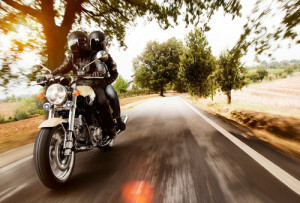 Auto accidents in general are one of the leading causes of death in the United States, but operating a motorcycle increases the likelihood of death drastically. Much of this is due to the fact that cars have an array of effective safety features motorcycles do not, but also due to the fact that many motorcyclists do not wear the protective gear needed to increase their chances of survival. Last year has proven to be a dangerous one for motorcyclists in Chicago and there have already been a slew of accidents heading into the fall that warrant our attention. Changing weather and temperature have more cyclists taking to the roads to enjoy the season before winter comes and this puts them at risk due to volume. 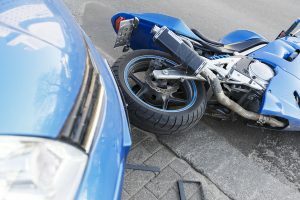 The Chicago motorcycle accident injury attorneys of Rosenfeld Injury Lawyers LLC routinely represent the victims of these accidents and cannot stress how important it is for motorists and lawmakers to contribute when it comes to the protection of motorcycles on the road. Heading into November, we’ve already witnessed too many motorcycle accidents for comfort. The devastation wrought upon the victims and their families is life changing, and those who have lost loved ones cannot recover what they’ve lost regardless of compensation. Here are some of the most high profile accidents we have seen so far. 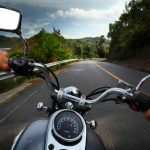 Motorcyclists are not the only victims injured in motorcycling accidents and their passengers are subject to the same risks they are. When a passenger is injured, it could be due to the negligent actions of another motorist or the reckless and irresponsible behavior of the person operating the bike. There is great responsibility that accompanies transporting another person in any vehicle, regardless of whether it is a car, a commercial truck or a motorcycle. If the actions of a motorcyclist bring harm upon his or her passenger, that passenger is entitled to recover compensation for the value of his or her expenses and lost opportunities. 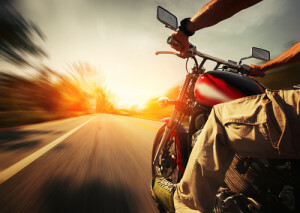 It isn’t common for motorcyclists to intentionally put their passengers in harm’s way, but they might attempt to showboat or act in a reckless manner to obtain approval. 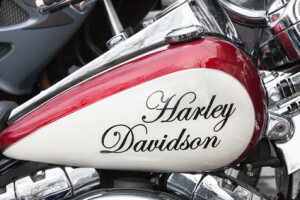 Their passengers are almost always close friends or family members, so there can be an emotional element to any claim made against a motorcyclist by his or her passenger. Even though it is not the intent of motorcyclists to injure their riders, they may do so and be required to cover the damages. Here are some of the ways a motorcyclist can injure his or her passenger. Surviving an accident might likely depend on the type of helmet you use. Wearing the best motorcycle helmet that fits your head properly can reduce the chance of great injury or death in the event of an accident or spill. With the escalating costs of engine fuel, many individuals are buying a motorcycle as an effective and affordable way to commute to work and enjoy the countryside. 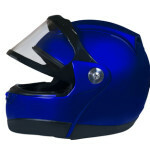 However, maintaining safety on the roadway requires purchasing the best motorcycle helmet, which is available in a variety of brands, styles and types. A quality made certified helmet will provide your head protection from a blunt force impact along its outer shell and collision-absorbing liner. Quality constructed helmets are designed and tested to safeguard you against flying objects and other road hazards, if your head is impacted in an accident or fall. 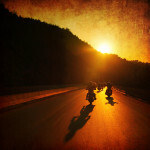 Should Motorcycle Riders Be Afraid of the Dark? Seasoned motorcycle riders have long known that taking to the open roads at night is an exhilarating and rewarding experience. Unfortunately, riding a motorcycle at night can be extremely dangerous because some motorists often do not see the bike in time to respond safely. Even so, should motorcycle riders be afraid of the dark or are there effective tips for riding safer at night? Not only is your vision decreased as the sun sets, but the vision of every driver around you. When vision is reduced, motorists often find it difficult to spot hazards and others on the roadway, especially motorcycles. Common causes for motorcycle accidents involving serious injury or death occur when another driver turns left in the path of a biker. Other times, accidents involving motorcycles happen when a motorist changes lanes or rear ends the bike without ever seeing it beforehand. 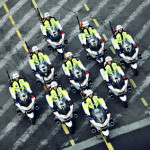 For the motorcycle rider, safety is achieved by an increased presence when on the road. This is important because a standard motorcycle is about 10 times less in size than a SUV. Because of that, it is essential to enhance your visual presence while on the road to ensure your bike appears much larger. 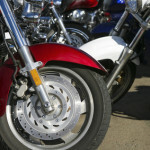 Group etiquette rules transforms group riding into a safe and fun experience for all motorcycle riders. The following group riding etiquettes are based on several different aspects such as logic, tactics as well as sound common sense. The rules for group riding range from basic to more evolved concepts where beginners may want to understand the formations and rules from scratch while more seasoned riders may want to brush up on old concepts before joining in a group ride. Motorcycle groups typically consist of ten motorcycles but if there are more numbers then the group is usually split up into sub-groups for easier coordination. Instructors of motorcycle safety classes in Illinois are realizing many of their graduated students are buying large racing bikes with the capacity to travel at high speeds, even though the riders are not trained properly to handle it. The power and weight of large motorcycles are often very challenging to operate, especially at high speeds. Passing tests performed on smaller motorcycles does not provide adequate training for a larger bike. As a result, the state of Illinois is contemplating creating an additional license class for large motorcycles. Currently, the state provides two specific motorcycle license classifications including one specifically for engines smaller than 150 cc (cubic centimeters) in size. This class handles small bikes including scooters and off-road motorcycles. The other class is for motorcycles of every other size. If the new law were enacted, Illinois would start providing a third category specifically for larger motorcycles, likely for engines 600 cc or larger. Adding a third category would require drivers to be tested on the size of motorcycle they intend to ride.